The Seamstress narrative came from﻿ the contents of an elderly ladies home, which was packed into ten cardboard boxes by a house clearance company and put into a yard auction. I felt extremely moved by the fact that she had no family to lovingly sort through her belongings, as I have recently done with my own parents home. I bid on, and won﻿ the box that contained her sewing paraphernalia and some old birthday cards from the 1940’s. From this I learnt, among other things, that the lady, Ivy, was a seamstress and a spinster - although there had been a young man called Joe! Very few of the actual contents from Ivy’s home were used in the final work; most of them came from my other collections - many of which have been won at yard auctions at previous times. 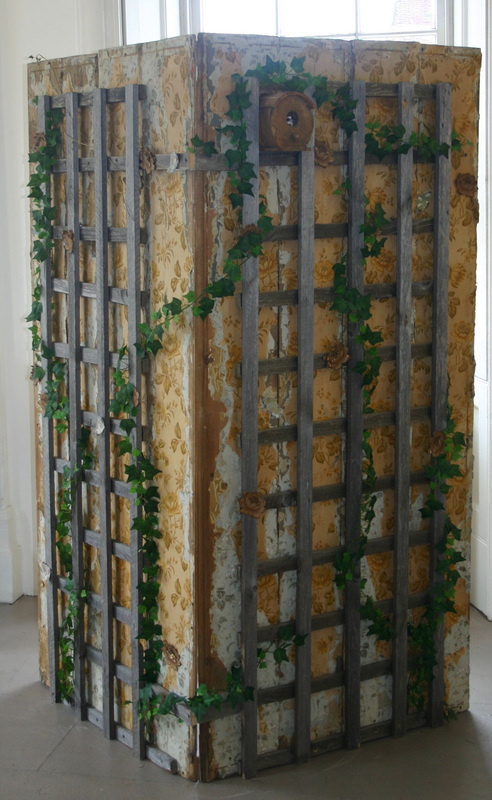 The piece was a double sided installation, the inside had real ivy growing, there were real (dead) insects and the little bird in the cage was a vintage taxidermy sparrow (Ivy Sparrow) - whereas the back had plastic ivy growing up a trellis, a wooden bird box with a fake bird in it and paper moths. This showed that the side of herself that Ivy allowed the outside world to see was a facade, a false front. 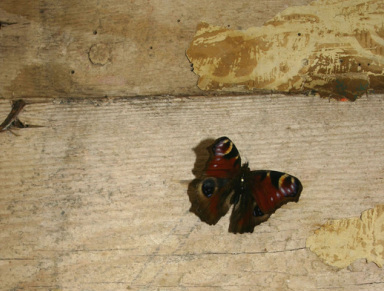 But inside the confines of her home was the real Ivy, the shy and lonely spinster. I made a book to contain my version of Ivy's story - you can see it under the 'BookWorks' heading. 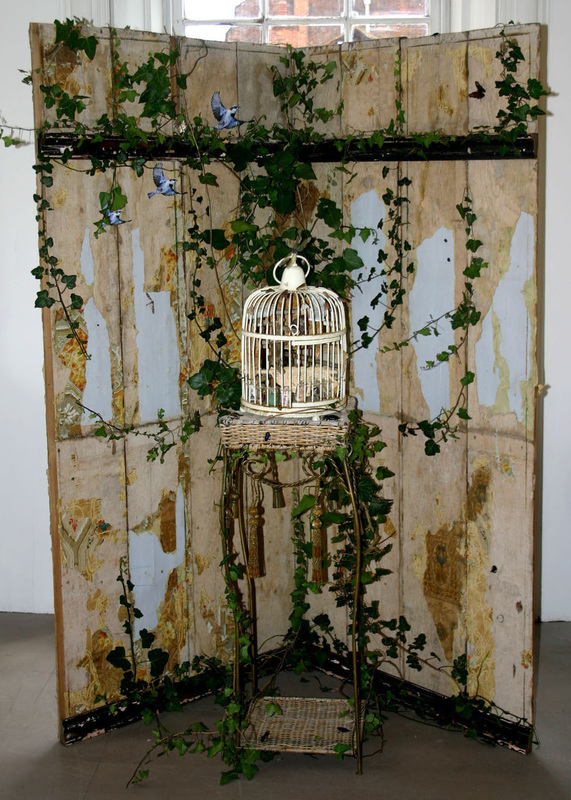 The front view: This is the side that represents Ivy in the truest sense - the cage contains a taxidermy sparrow with a needle in her beak, there are real moths, butterflies, beetles and a dragonfly (all died of natural causes) the ivy is also real. The back view: This is the side that Ivy presented to the world, a false portrayal. The bird box contains a fake bird, the ivy is plastic and the flowers and moths are made of paper.